The U.K. government announced on Monday that every newly built home would come with a charge point for electric vehicles as part of its Road to Zero initiative. The initiative’s aim is to end the sale of new gasoline and diesel cars and vans by 2040, and one stop along the path to that goal is to ensure all homeowners will have a place to plug their EV in for a charge up. There are currently about 167,000 plug-in vehicles on UK roads, and about 16,000 public charge points. It’s well known that most EV owners charge up their rides either at home or at work, with charge points being of minimal use, except in long distance drives. EV critics have mentioned that home ownership is required to properly take advantage of an electric commuter. The Road to Zero initiative has a plan for that, too. 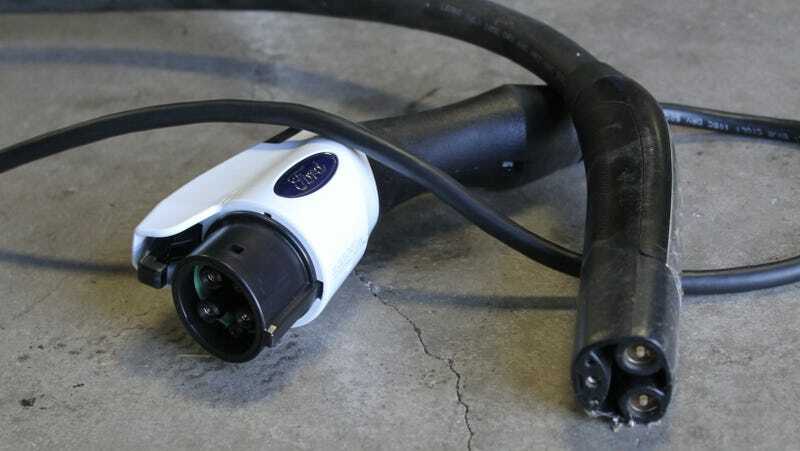 In addition to homes, all new street light installations will require EV charge point access for street-parked cars. Presumably the long term goal is to slowly retrofit all U.K. street lights to include a charger for EVs. In addition to charger access likely leading to an influx of potential EV car buyers, the plan hopes to boost infrastructure by including an additional 400-million-pound fund for charging point manufacturers and installers. The “Automated and Electric Vehicles Bill” aims to ensure that charge points are available at freeway service stations and other gas stations. Further, the U.K. Treasury is currently considering levying a new fuel duty to discourage fossil fuel use. “The prize is not just a cleaner and healthier environment but a U.K. economy fit for the future and the chance to win a substantial slice of a market estimated to be worth up to 7.6 trillion pounds [$10.1 trillion] by 2050,” says Transport Secretary Chris Grayling. If your new home were to include an EV port ready to go when you moved in, would you be more motivated to purchase an EV or plug-in hybrid vehicle? Having that charge port sitting there unused, staring you down as you park your gasoline vehicle, might be enough to push a lot more people over the brink into EV ownership.